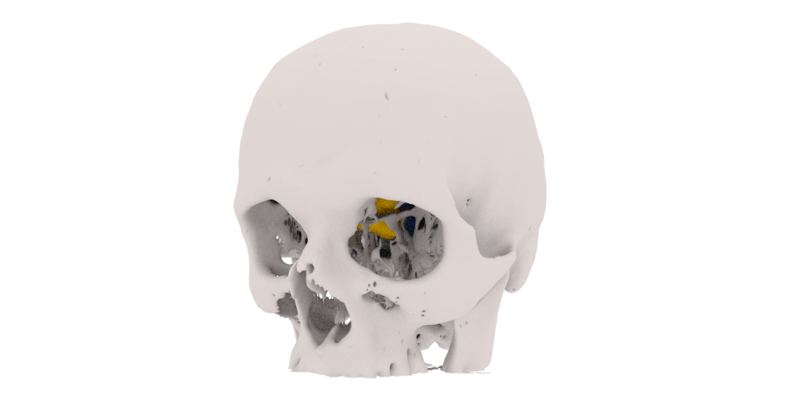 IMHOTEP is a next-gen 3D visualization system for surgeons. 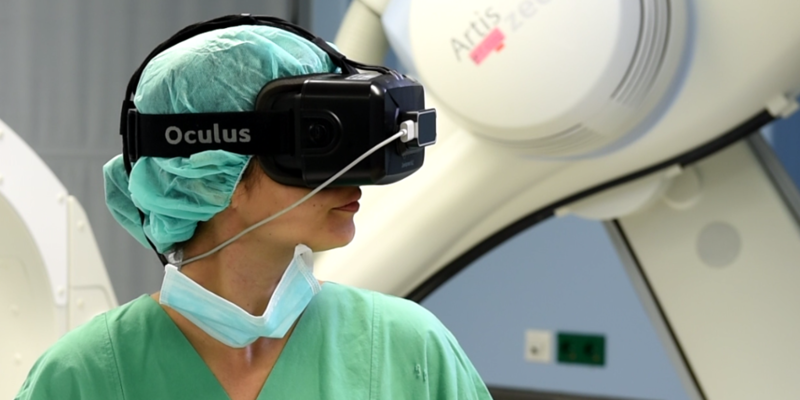 It presents patient data in a virtual reality setting, using new 3D technology. The IMHOTEP system is optimized for operation planning. 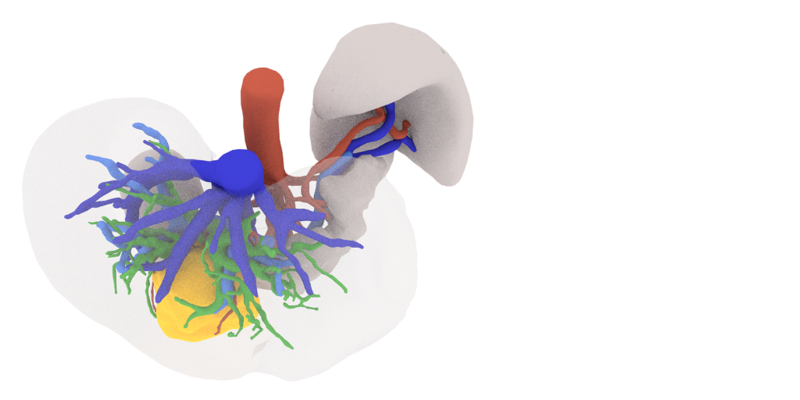 It visualizes patient data in three dimensions, which greatly improves a doctor's perception of complex anatomical goal structures (such as tumors) and risk structures (such as vessels). Using this advantage, the process of planning difficult operations is greatly simplified. « 49-year-old patient with a history of gallbladder carcinoma. Status post radiochemotherapy. Indication for extended left hemihepatectomy. 3D data displayed here was used in IMHOTEP study. 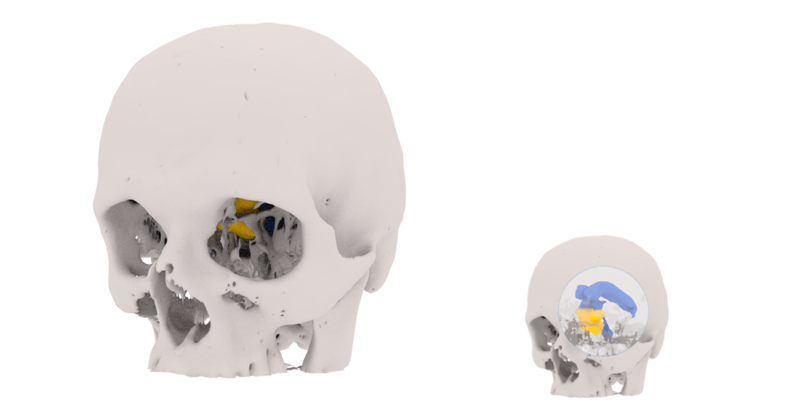 The data is generated and segmented from Computed Tomography or Magnetic Resonance images. 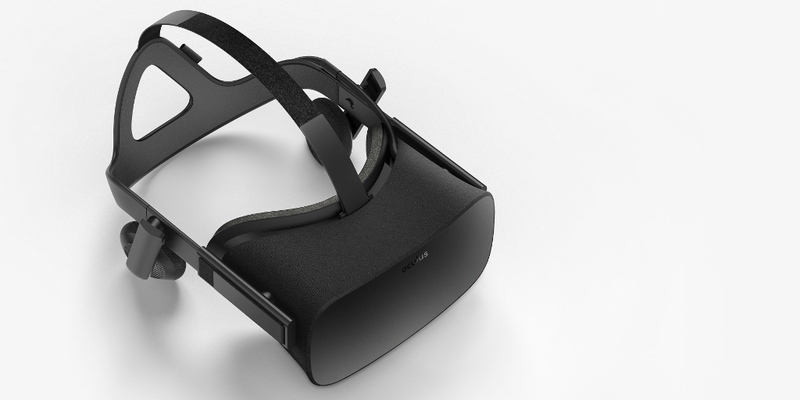 It is then displayed using the 3D virtual reality setup. The 3D effect makes analyzing of complex structures very intuitive - no matter the type of operation. 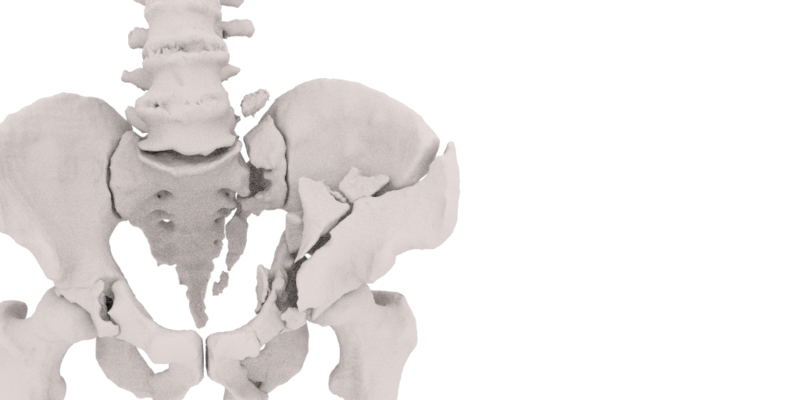 Bone fractures can be visualized as well as soft tissue and vessels. « 47-year-old patient with history of trauma after a fall with a motorcycle. 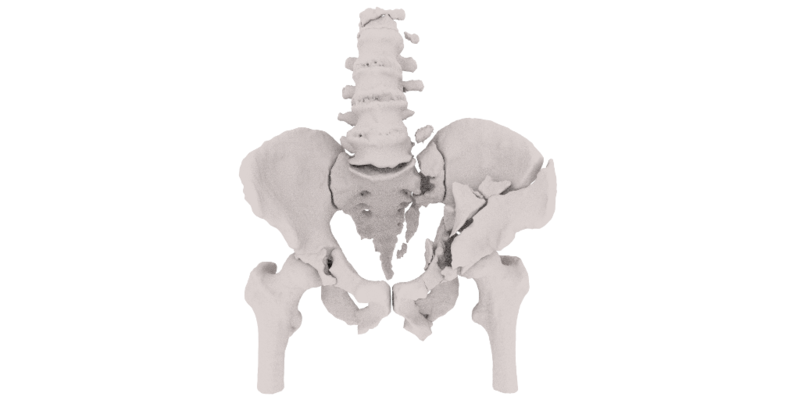 Unstable pelvis fracture. Unstable impression fracture of L1. Fracture of processi spinosi of L1 and L5. Indication for operative stabilisation of the pelvis and L1. 3D data displayed here was used in IMHOTEP tests. IMHOTEP is designed in a flexible way, allowing for many areas of applications. 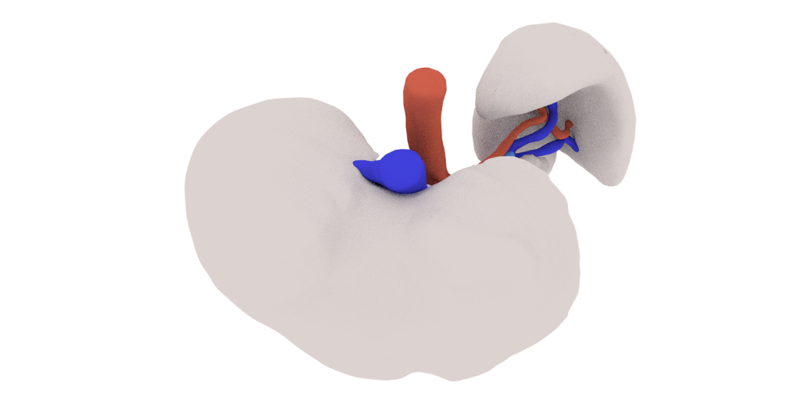 The modular system will address many types of surgery planning, as well as medical education. « Patient with brain tumor. 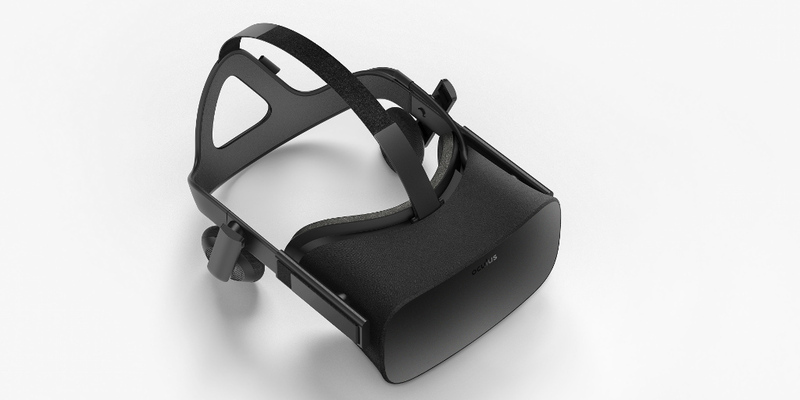 The software supports the HTC Vive and Oculus Rift to generate a 3D effect using stereo rendering. The devices' head tracking enables us to give the user a full 360° view of the virtual environment, which maximises the usable workspace. 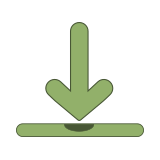 Go to the Download page to get a compiled application. Alternatively, you can download the framework's source code. In both cases, we recommend downloading a sample patient data set to get you started. IMHOTEP is being developed by members of the National Center for Tumor Disease, Dresden and the University Hospital in Heidelberg, Germany.